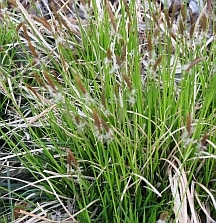 Beautiful, low growing sedge native to oak savannas. Shade and drought tolerant. Easy and useful for difficult areas. Spreads slowly to form colonies. Not widely available and often quite costly.